You can help stay motivated during workouts by streaming your favorite music, podcasts, or invite a friend to a seven-day challenge. In a competition, you'll share your activity and compete for bragging rights and digital medals. Notifications of your friend's progress act like a personal trainer to keep you going. 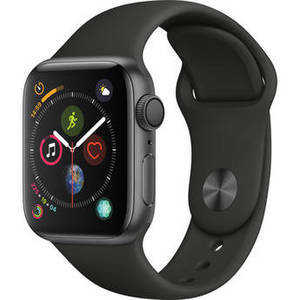 The Apple Watch Series 4 stays connected to the outside world via Wi-Fi or a wireless Bluetooth connection to your iPhone. When connected, you can use the watch as an extension of your phone to view text messages, interact with Siri, navigate via built-in GPS, or make handsfree calls with the integrated speaker and microphone.